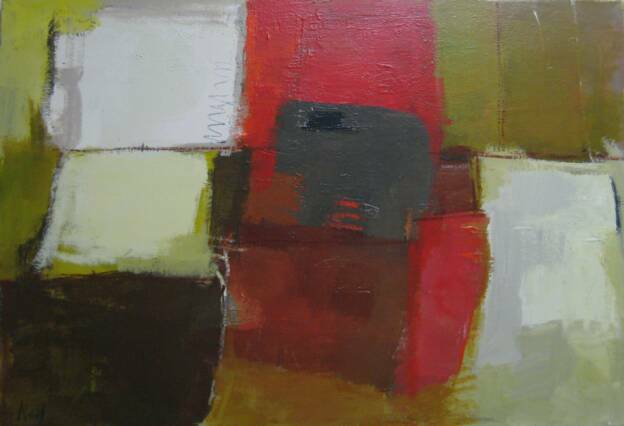 A great piece of abstract art can make a room. It has the power to instantly update a space. Depending on your mood, it can inspire or energize you. 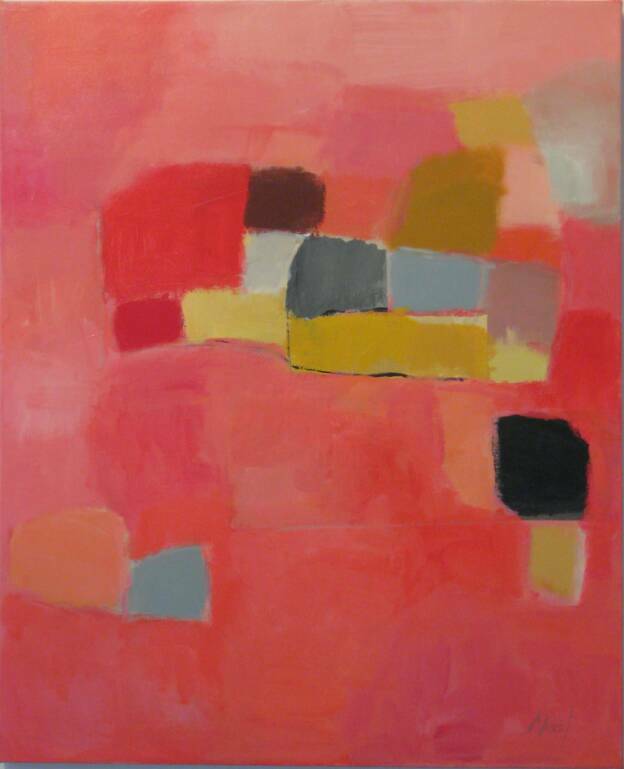 When I discovered Noella Noel’s abstract paintings, I was taken by the way she mixes and layers colours to create juicy textured canvases. 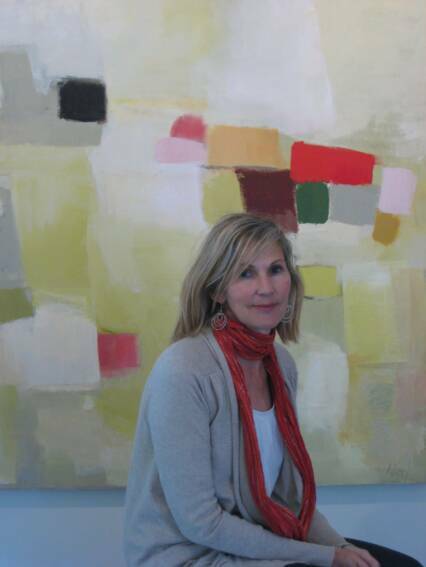 Noella is passionate about her work and open to collaborating with clients when they need a painting to fit their space. And, let’s face it, sometimes it’s nice to have that option. 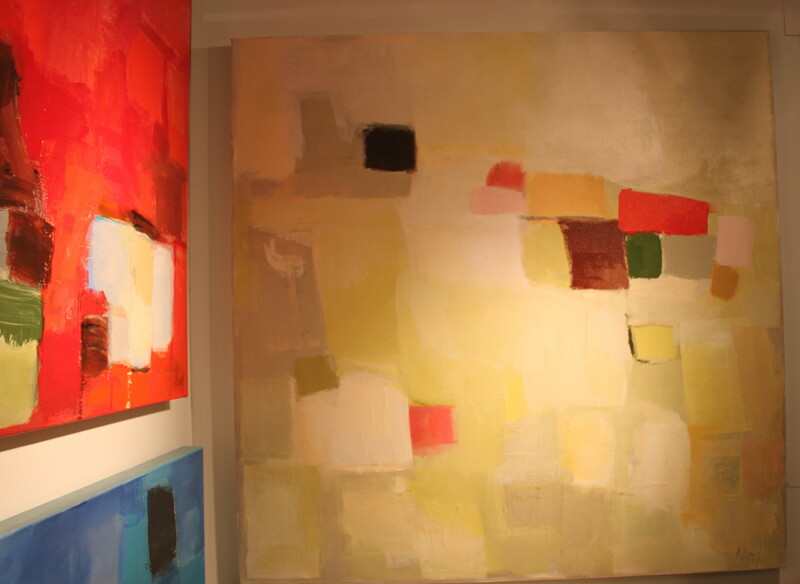 She and her husband own a gallery in Prince Edward County, on the northern shore of Lake Ontario. I asked her a few questions about her work. JM: Tell me about Bayhaus gallery. When did you open it and what makes it unique? 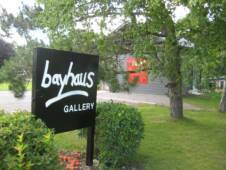 NN: “The Bayhaus Gallery on the Bay of Quinte was built and opened two years ago. 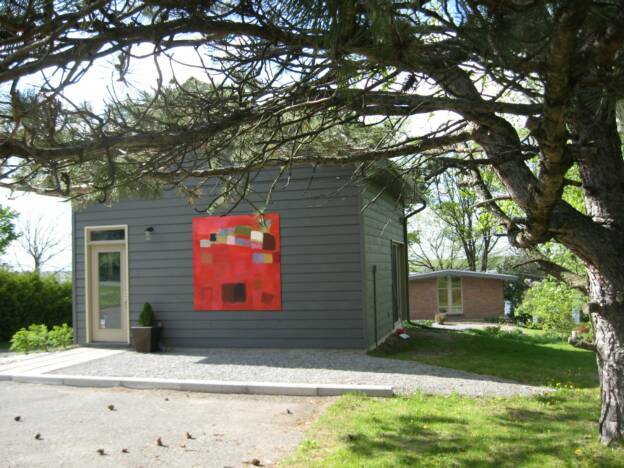 The studio/gallery is on a beautiful country road in Prince Edward County and is open to spectacular views of the Bay. We’re restoring the early modern house and many gardens on the property. The gallery is also my studio where I paint daily from April to November. JM: How has your work evolved over the years? NN: “I’ve been painting for about ten years. After dabbling in watercolour, I switched to acrylic and then to oil. I found I could easily make mistakes and go over them. 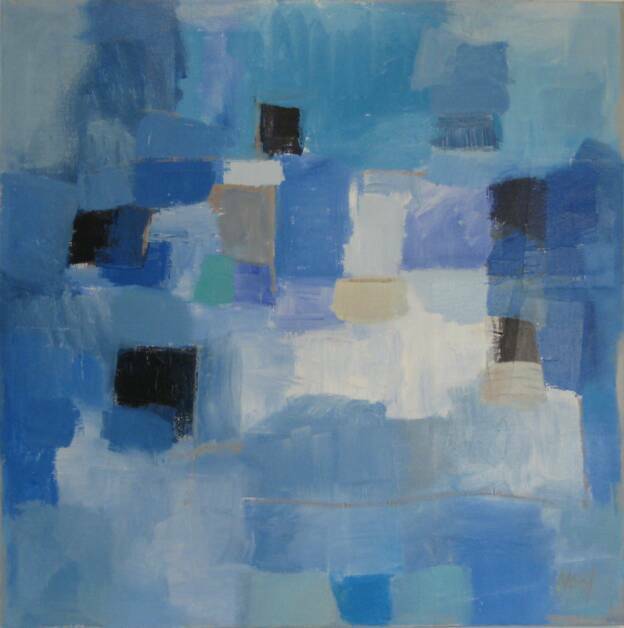 I loved the freedom that gave me and it’s become an integral part of my method of painting. 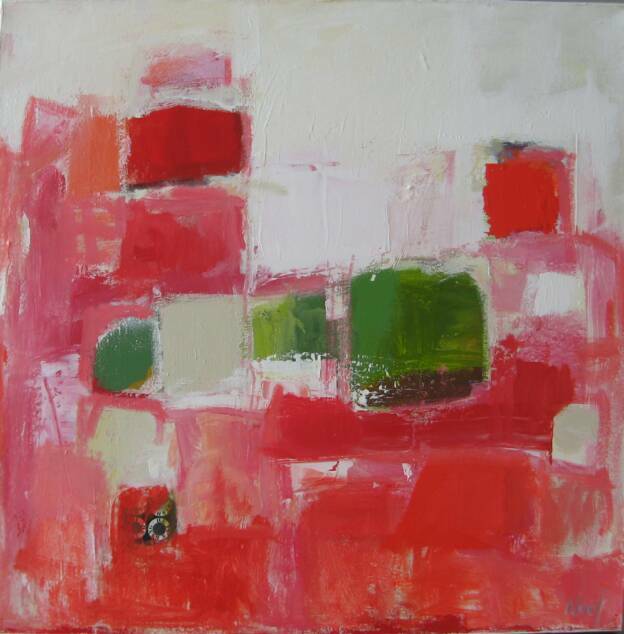 My work is very layered and textured and it’s ever-changing. 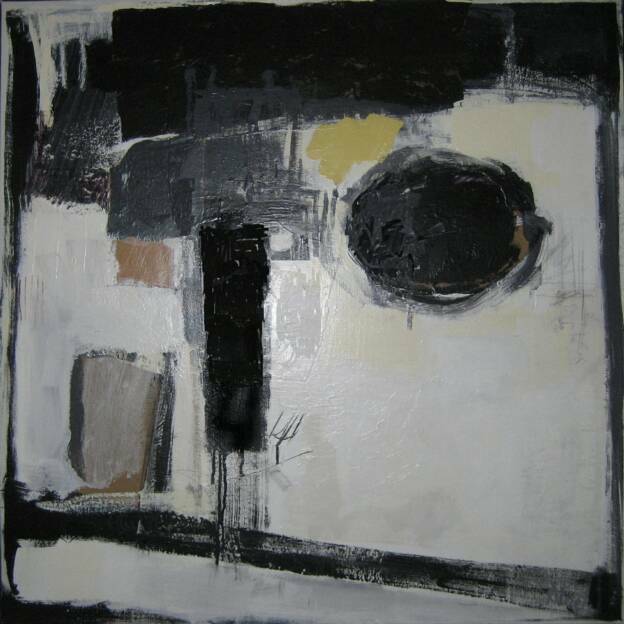 I often start with collage as it helps me to work out the composition and gives the painting some form. I’ll work on a painting for weeks and sometimes several paintings at once, going back and forth as I struggle with colour combinations. 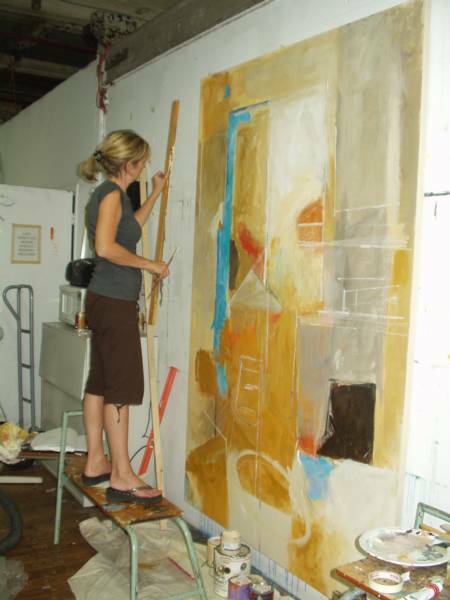 I like to work large and expressively – I usually start my canvas on a table, and sometimes put it on the floor if I need to loosen up. Finally, to finish it, I’ll place it on the wall of my studio. JM: What inspires you to paint? What’s a typical day like for you? JM: You encourage collaboration with clients. Explain how this works for you. JM: You also do outdoor paintings. Tell me how that works. What protects the canvases from the elements? JM: What are you working on at the moment? 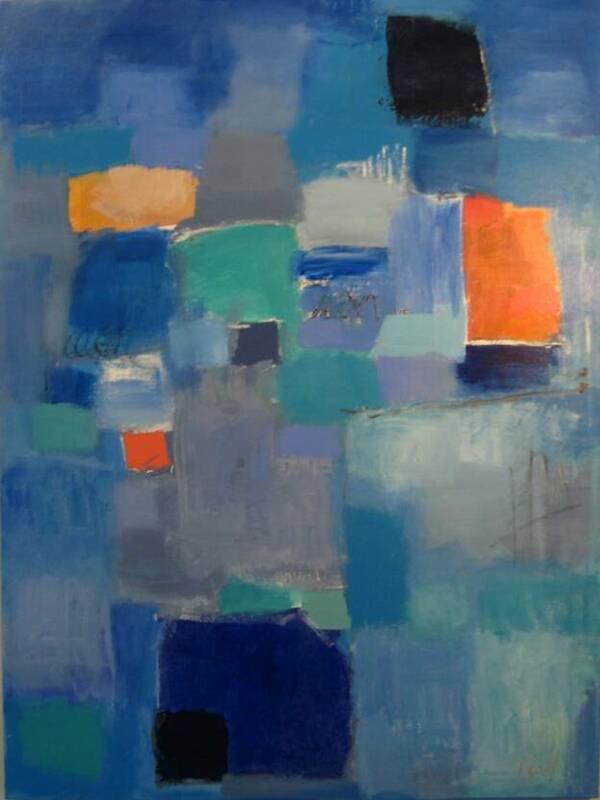 NN: “I paint in the winter in Naples, Florida, and since returning home, I’m anxious to set up my studio for the season. The gallery will open in the next week or two. Two very large stretchers are already in the gallery and I plan to stretch canvas and prime them this week. 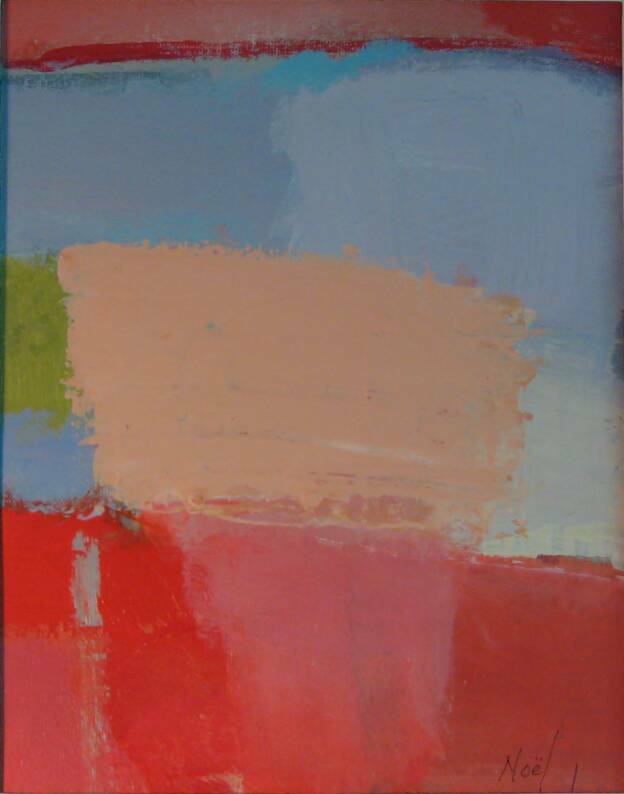 I’ll be working in oil through the summer as I can open the large doors of my studio for good ventilation. I also want to paint outdoors on the deck attached to the building. 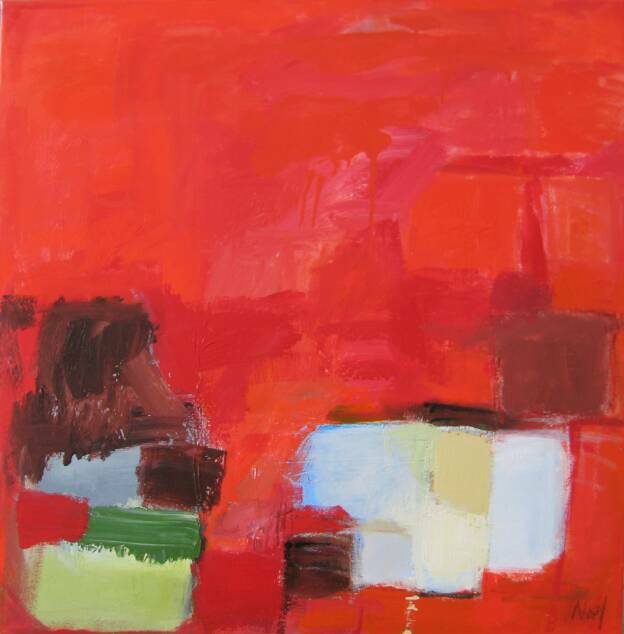 In addition to the Bayhaus gallery, Noella is represented by the Sidestreet Gallery in Wellington Ontario and the Whitespace Gallerie in Naples Florida.